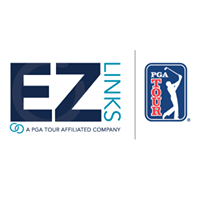 The Kentucky Section of the PGA of America is proud to announce a new partnership with EZLinks Golf, a PGA TOUR Affiliated Company, which will include sponsoring the 2019 Pro-Senior Championship. The partnership will also connect Kentucky PGA Professionals with the latest software and innovations from EZLinks Golf, helping to grow the game of golf throughout the state via cutting-edge technology. EZLinks Golf provides golf course management and technology services for thousands of leading facilities throughout the country, including daily fee courses, municipalities, resorts, management companies, and private clubs. EZLinks’ suite of products includes the Official Tee Sheet of the PGA TOUR, multiple point-of-sale platforms, golf’s largest 24/7/365 phone reservation center, marketing and online reputation management services and TeeOff.com by PGA TOUR, the industry’s fastest-growing site for online tee time sales. As part of the partnership, EZLinks will become the title sponsor of the Pro-Senior Championship, an event held annually in late April that brings together top Kentucky PGA Professionals alongside the state’s best senior amateur golfers for a team competition. For more information, visit ezlinksgolf.com or kygolf.org. EZLinks Golf LLC, a PGA TOUR affiliated company, produces industry-leading software and services to power the operations and marketing needs of the golf industry. Founded in 2015 by a PGA TOUR affiliate and EZLinks Golf, Inc. (established 1995), EZLinks Golf LLC’s software and service suite is tailored for golf and includes tee sheet, point of sale, 24/7 reservation center, online booking engines, marketing services, 24/7 support and TeeOff.com by PGA TOUR (teeoff.com) – an online tee time marketplace connecting millions of golfers with tee times at golf courses worldwide. For more information, visit ezlinksgolf.com. The Kentucky Section of The PGA (KPGA) is one of 41 Sections of The Professional Golfers’ Association of America. Formed in 1925 and headquartered in Louisville Kentucky, KPGA is dedicated to the promotion of the game of golf and providing ongoing education and professional developing for Kentucky PGA Professionals. Kentucky PGA Professionals are responsible for conducting a variety of golf-related functions, which include general management, golf instruction, tournament operations, golf shop merchandising, junior golf programs, golf club repair, and much more.